If you are simply visiting Thailand then you need to obtain a tourist visa which is valid for 2 months and can be extended in Thailand for an additional 30 days. The Thai embassy in Washington normally will issue a Thai visa in 2 business days and they do issue multiple entry visas if you have the needed documentation. 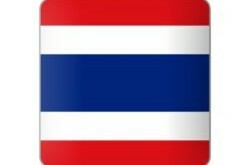 If you are older than 50 and meet the financial requirements thenyou can also apply for a retirement visa for Thailand. This is a 3 month visa which can be extended to 12 months inside Thailand at Thai immigration. We have also listed other Honorary Thai Consuls in the United States below. 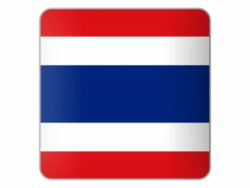 There are a number of Thai Consulates located in the Untied States and they have also been listed. The Thai Consulate in LA can be contacted if you live in the region. Their contact details have been added to this website. You can see advice on birth registration as well as death and marriage registration in the US. Most Thai women who arrive in the US arrive on a fiancee visa and get married in the US. This marriage can then be registered in Thailand while still in the US. If you live in the Chicago region then the Thai Consulate in Chicago can be contacted if you need assistance with advice on birth registration as well as death and marriage registration in the US. You can also ask about retirement in Thailand and advice on buying property in The Kingdom. The Thai Consulate in New York can be contacted if you live in the US region. Their contact details have been added on this Embassy website. You can see advice on birth registration as well as death and marriage registration in the US. Most Thai women who arrive in the US arrive on a fiancee visa and get married in the US. This marriage can then be registered in Thailand while still in the US. If you live in Hawaii then you can contact the Thai Consulate in Hawaii for assistance such as a visa application or assistance with registering your Thai child born in Hawaii. See their page for more contact information. If you live in the area of Oregon then you can contact the Thai Consulate there for assistance such as a visa or assistance with registering your Thai child born in the US. See their page for more contact information. If you live in the vicinity of Dallas Texas then you can contact the Thai Consulate in Dallas for assistance such as a visa or assistance with registering your marriage or divorce. See their page for more contact information. If you live in the vicinity of Houston Texas then you can contact the Thai Consulate in Houston for assistance such as a Thai visa or assistance with registering your marriage or divorce. See their page listing for more contact details.